PS Vita sales worldwide are starting to grow slowly according to VGChartz. In week ending June 9th 2012, the PS Vita sold just over 50,000 units world wide – not a lot compared to the 3DS’ 135,000+ units – but a growth compared to the previous week’s 45,000 units. Week on week, the PS Vita’s sales increased by 10%, and exceeded the PSP’s sales, which is still going strong. According to Chart-Track data, the PS Vita in the UK is tracking at just under a third of what the PSP achieved after the first ten weeks. 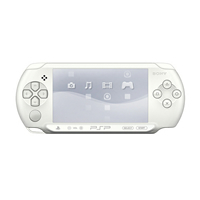 The PS Vita has sold just 100,000 units according to the website, although the numbers have not been confirmed by Sony.